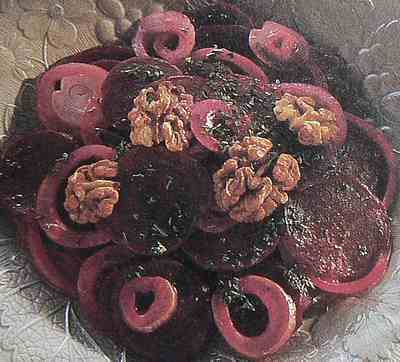 Mix the beetroot and onions. Add the vinegar, oil, salt and pepper. Sprinkle the walnuts and parsley on the top and serve.